plashes and thrills – bursting with laughter ! 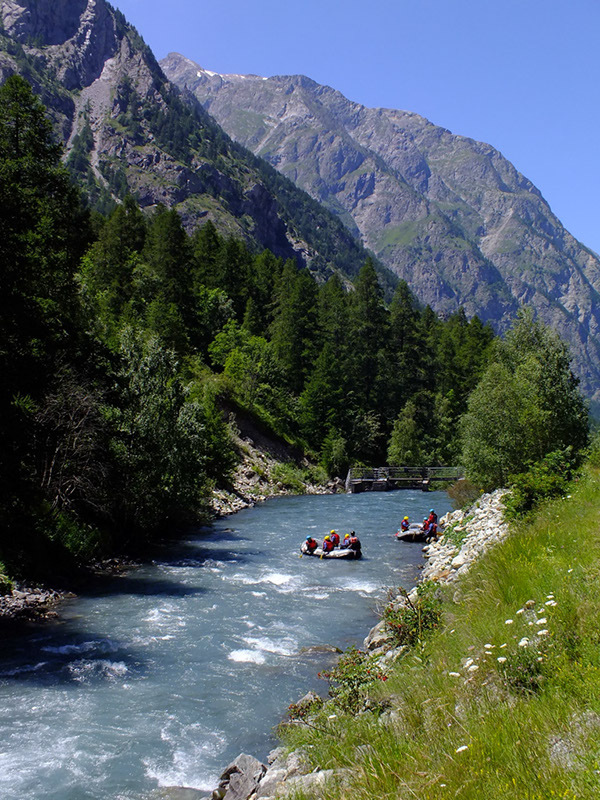 The headwaters of the Romanche, a wild river in the Alps, have their source at Lautaret Pass. our run of 5 km is punctuated with multiple rapids (class 3 & 4). 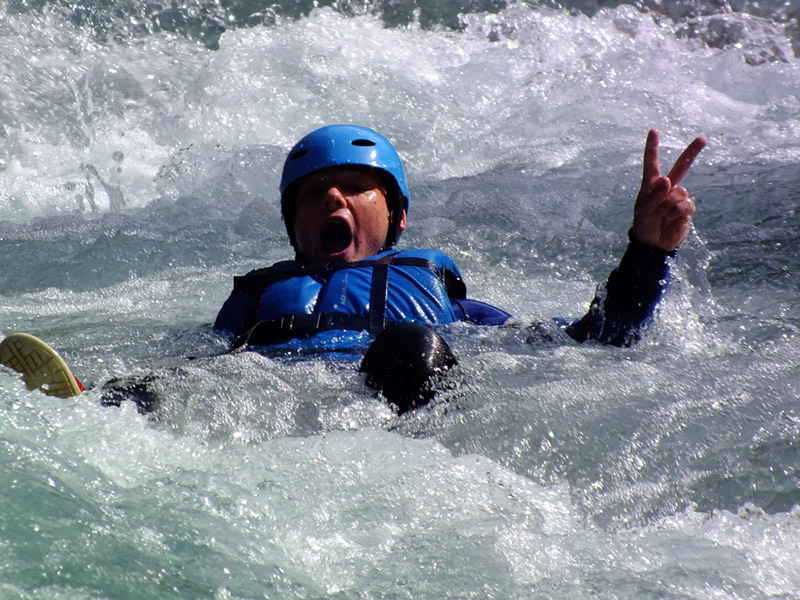 his 45 minute rafting run will make for a day to remember. Morning - the first run starts the day off with thrills…. e take off for another whitewater adventure in much more challenging water. 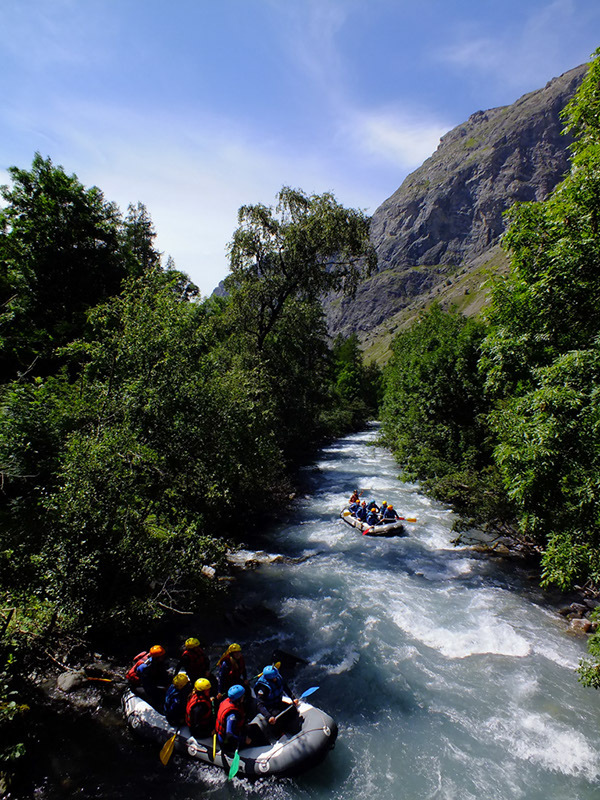 Below the Meije Glacier, the hotter the weather, the higher the river! RODEO RUN : the chance to make 2 runs back-to-back ! Want to sweat ? Need to escape? The rodeo formula is for you! 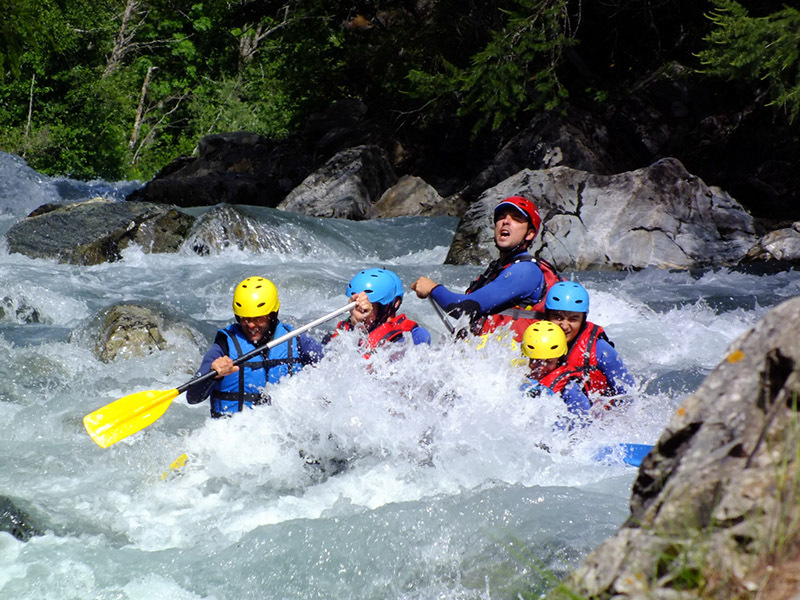 We support you in whitewater, the Romanche, and we offer to make two runs back-toback. rolls, waves and will to scum ! 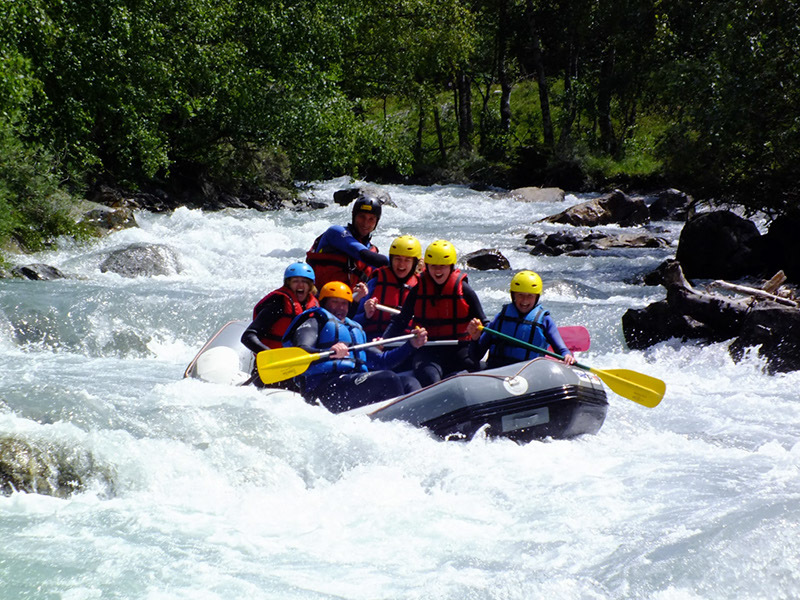 The guides of No Limit Rafting, with many years of experience, will help you discover the Romanche, a marvel of nature, in an atmosphere both sporting and friendly, and in complete safety.